A redesigned version of the Toyota Highlander is debuting at the 2019 New York auto show next week. 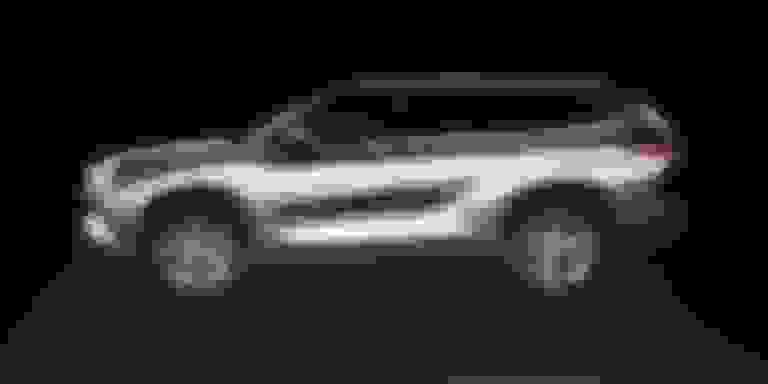 A rendering of the new three-row SUV shows a similar profile as the current car, but with more body sculpting on the side and what looks like a more aggressive front end. The 2020 Toyota Highlander officially debuts April 17 and should go on sale sometime by the end of 2019. I'm actually excited by this. But knowing Toyota these days, they will tout sportiness only to stuff a mismatched barely adequate old powertrain in there. Yes the current 3.5L in the Highlander is old. Hopefully, it is more refined in terms of road and wind noise, which the RAV is pretty poor at. But knowing Toyota these days, they will tout sportiness only to stuff a mismatched barely adequate old powertrain in there. Yes the current 3.5L in the Highlander is old. Hopefully, it is more refined in terms of road and wind noise, which the RAV is pretty poor at. First, one reason the 3.5L is reliable is because it has been around for awhile....time to perfect it. Toyota and Lexus did not get the reputation they did for reliable engines by changing the designs of them (or introducing new ones) every time the sun comes up. Second, the RAV4 is not unrefined because of its engine....although most fours, of course, are usually not as refined as most sixes. The RAV4 is unrefined because of cheapness of materials used in the body, interior, and insulation. I never said it isnt reliable it is just old. Also, was the 3.5L unreliable when it was first released or is Toyota incapable of releasing new and reliable engines? Also, I never said the RAV4 is unrefined because of its engine. It is unrefined due to the high level of wind and road noise, but since you brought it up, a lot of reviewers commented on how loud and coarse the engine sounds when accelerating. Anyways, hope the new Highlander is more Avalon (without the stupid grill) than Camry in terms of refinement. - As shown above, a profile that is similar to the one we have now, but updated to add a bit more style. - A large grill that may take some time to get used to. - Continued options for seating of 7 or 8. - I think the 4 cylinder will be gone. - The 2GR-FKS becomes the standard engine. - Hybrid powertrain carries over (because, Toyota). - It'll still be softer than entries like the CX-9, but Toyota will try to market some sportiness, and again will offer an SE trim. - I suspect they'll debut a new "adventure" trim (or some other butch/outdoorsy trim). - Apple CarPlay and Android Auto available (standard?). So, it seems like you haven't read anything about the 2019 RAV4. Higher level trims are high-quality inside; I saw it at the car show, and it was pretty nice, with a lot of features. But every single review I have read and seen says the 2.5L 203HP gas version is just downright loud and intrusive. I think the hybrid is less so. I have not driven one yet, but may do so this spring--I'd probably lean toward the hybrid since it's only $800 more. I have to agree with this post. The higher trim levels are better than the cheaper trim levels. The press seem to really like the new RAV. As for noise, everyone says the noise from the 2.5 is the problem. I wonder if Toyota will carry on with the V6 hybrid or downsize to a 4 cylinder to bring the cost down. It would be a miracle if they offfered a plug-in option. Oh no, you had to go there. You think the new Highlander will have quad exhaust tips, when 3 aren't even openings and just pieces of plastic attached/clipped on? Hey, Audi does it too! Interesting thought, but I think they'll stick with the V6 hybrid version, at least for North America. I could see a 4 cylinder hybrid (from the RAV4?) being offered elsewhere. I think they will have the center exhaust tips from the LFA is my guess. Maybe even the flip up headlights from the Gen 2 MR2. I know I'm dreaming but who knows, there is still hope that both of those will happen!!! Yea the 4cylinder Hybrid is not happening. It is just barely adequate in the RAV4 and it will be outright dangerous in the Highlander trying to get up to highway speed. I doubt they will change it, like you said. Curious to know, I see you have had a lot of 3.5 sedans by Lexus, why did you go for the Hybrid HL and not the exact same motor as your GS in the gas version of the HL? Last edited by LexsCTJill; 04-09-19 at 02:04 PM.